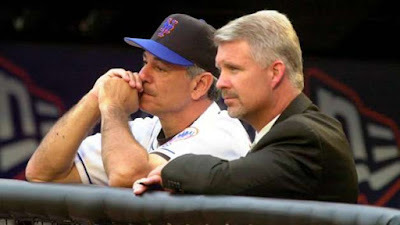 Saturday June 9th 1999: After a Saturday subway series loss, the Mets were tumbling in a horrid eight game losing streak. In the off season the team had spent $165 million to upgrade the team. They were considered a wild card favorite & even a possible challenge for the Atlanta Braves. But at this point they were 27-28 & in third place. After the game, in a heated meeting, the Mets Manager Bobby Valentine & GM Steve Phillips, vented their disagreements & frustrations to each other. 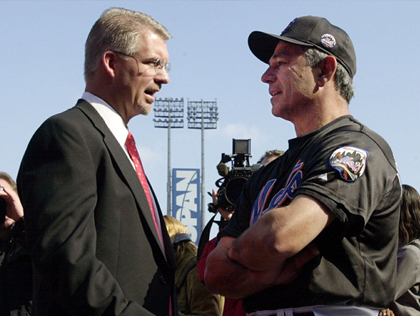 Next to the shock of Bobby Valentine, three of his coaches were let go. 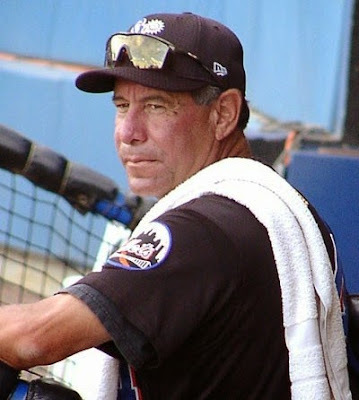 First, pitching coach & former Met pitcher, Bob Apodaca who had been with the organization for 28 years was let go. Over the previous two years, Apodaca had been credited with the Mets pitchers success. The 1998 staff was come in fourth in league ERA & sixth in wins (88). The 1997 staff was fourth in wins (88) & second in innings pitched & walks. Valentine had once insisted that Apocada get signed to his staff, in order for him to ink a deal as manager. But at this point in 1999, early on the staff ERA was at 4.84 & every starter had a personal ERA over five. Quotes- Bob Apodaca: " All I know is that over the past three years, I have been prepared for every game & the pitchers have been prepared for every game. All I can say, is if I'm responsible for Al Leiter's knee, Bobby Jones' shoulder & for Rick Reed being on the DL, then I've got to go." On the other end, Steve Phillips said he didn't like the was Apodaca was handeling the staff. He stated that one pitcher went as far as saying of Apodaca was fired, no one would complain. Quotes- Steve Phillips: "We needed to make changes with the people who had the most immediate contact & responsibility with those departments. These are some areas where we are succeeding but not finishing the job. Other areas like pitching, we just aren't getting the job done." Also getting the axe, were hitting coach Tom Robson, who had been with Valentine since his first managerial sting with the Texas Rangers. The Mets were eighth in runs scored but led the league in on base %. Strangely, Robson would be brought back in 2000, mostly to appease Valentine. Bullpen coach, Randy Niemann was also let go, although the bullpen had been the best part of the team up to that point. Needless to say, Valentine was furious at the actions taken on his staff. Steve Phillips claimed, the team had no intentions of firing Valentine, that he was their guy. 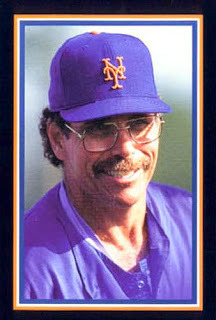 Valentine would take the Mets to two straight post season appearances, including an NL Championship in 2000. Dave Wallace was named the new pitching coach, Mickey Brantley the new hitting coach & former Met pitcher & fan favorite, Al Jackson the new bullpen coach. The other three coaches, first base coach Mookie Wilson, third base coach Cookie Rojas & bench Coach Bruce Benedict were left untouched. The next night, the Mets broke their losing streak on ESPN's Sunday Night baseball. They beat up on steroid user, Roger Clemens, breaking a personal win streak he had going. 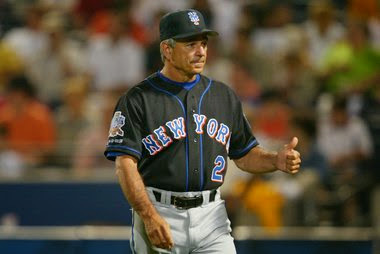 The Mets knocked him off the mound by the third inning after he had surrendered seven runs, including a two run Mike Piazza HR. In any event, the Mets went on to win 40 of their next 55 games & tie for a wild card spot at the end of the regular season. They beat the Cincinnati Reds in that tie breaker, beat the Arizona Diamondbacks in the NLDS & ended the season losing to the Atlanta Braves in he NLCS in six games.